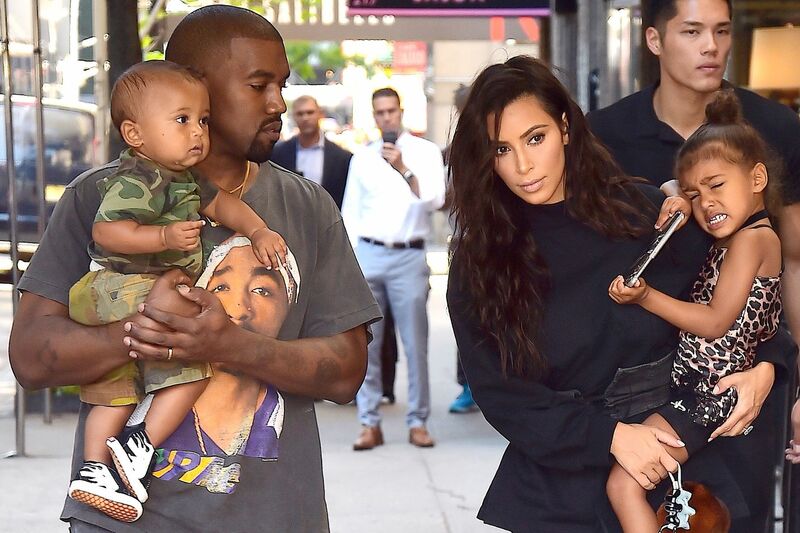 If you all saw the last season of Keeping Up with the Kardashians, you remember Kim was adamant about having a third child. However, due to complications from her previous pregnancies, having a child herself would be too dangerous. Scared to hire a surrogate, Kim even ran the idea past her little sis, Khloe. In the end, Kim wasn't sure if she wanted to hire one and Khloe told us she'd want kids with boo Tristan Thompson of the Cleveland Cavaliers but not lend her womb to Kimye. Turns out, even Chrissy Teigen offered to be a surrogate for the reality star. Thus, here we are....the Kards set the scene for today's news confirmed by People magazine that Kim and Kanye have hired a surrogate. Not junk change, but is it enough to hold a well-known couple's baby for 9+ months? It's still unclear if the surrogate is pregnant right now and if she hasn't started....when's her first day of work? The couple already has 4 year-old North and 18 month old Saint.